Leonard P. Howell was born in Redlands, Clarendon- Jamaica in 1898. He died in New – Kingston Jamaica in 1981. (Several weeks before his death) robbers invaded his house, took his cash, brutally stabbed him. He moved to New Kingston, hotel where he died. Howell is credited as The Founding Father of Rastafarian Movement, in the 1930’s. Leonard Howell, a member of Marcus Garvey’s movement, traveled the world and got a first hand view of the universal oppression and similar servile condition of Blacks in all the countries. 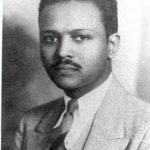 He was able to visit Ethiopia and Ghana in the early 1930’s. In his book, The Promised Key, he reports an event that changed his life and motivated him to inspire the Rastafarian movement. He was one of the few persons of the African Diaspora, he records, to have attended the Coronation of an African Emperor in the last truly independent African country, Ethiopia. 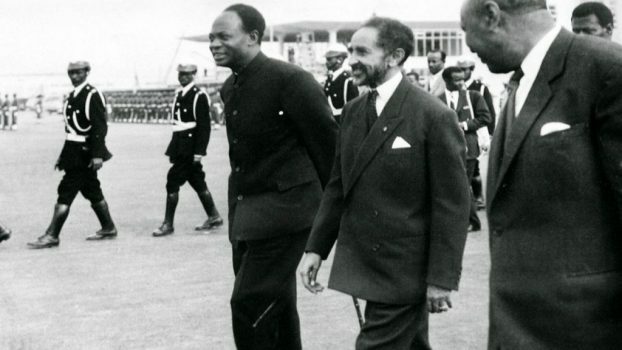 This coronation of the Regent, Ras Tafari Makonnen, with the new name Haile Selassie I, was of tremendous significance to Howell and all who witnessed the pompous event. Firstly, at a time when all peoples of African descent were under colonial rule (except Ethiopia) here was a Black King being crowned and witnessed by American, European and Asian delegates from all over the world who were in attendance. Secondly, the King of Great Britain sent his son the Duke of Gloucester, to represent him returning a scepter stolen from Ethiopia years before. All guests recognized this Sovereign, Haile Selassie I, As representing the world’s oldest continuous Throne and a descendant of the Biblical King Solomon and the Queen of Sheba, Makeda of Ethiopia. Howell records witnessing the ancient Hebrew-Christian coronation ceremony of the Ethiopian Coptic Church and the High Priest bestowing upon this African Emperor the titles of King o f Kings, Lion of the Tribe of Judah, Elect of God, Light of the World, Kings of Israel. Incidentally this event was also recorded in the National Geographic Magazine of 1931 by The US representative. Howell who was already a Garveyite conscious and proud of his African heritage, was radically transformed by this event as were many who heard of this significant and spectacular occurrence of Biblical significance. Religion in the African folklore tradition was not seen as a passive die to go to heaven event, but the expectation of a Messianic personage from within the race who would redeem them from their immediate social economic oppressive conditions on earth. On returning to Jamaica, Howell preached a religion and started a way of life that is now practiced by thousands of people worldwide, based on the acceptance of the Divinity of Ras Tafari, Emperor Haile Selassie I, regarded as a Black Messiah. 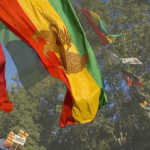 The name Rastafarian, adapted from the pre-coronation name of Haile Selassie I, and “dreadlocks” is now recognized globally and a Vocabulary that can be found in The Oxford and Webster Dictionaries. Howell taught and promoted genuine love and peace among black people, And that they too had heroes of their own, and to be proud of the Black-men and women who made contributions to our racial history. He taught that Marcus Garvey, reminded us that Africa has produce countless men and women in peace and war, whose bravery and luster outshine that of other people. Therefore, “ we are perfect within ourselves“ . Because Howell preached a doctrine that challenged the colonial culture and values he was often arrested for preaching “false doctrine” and sedition against the ruling colonial government. He was one of the first preachers to challenge the colonial system on issues of religion and like Garvey, on politics and economics. He advocated and (as we shall see in this article) implements self sufficiency programs as the true road to black liberation. He felt that no formalities should be among his people, by dispensing the colonial word ’Sir or Mr. As a community and religious leader, he was called ‘Gangunguru Maragh’ This name he accepted after living among the poorest of Indian in St Thomas, Jamaica. Later on his followers called him ‘Gong’ a name that Bob Marley later used. 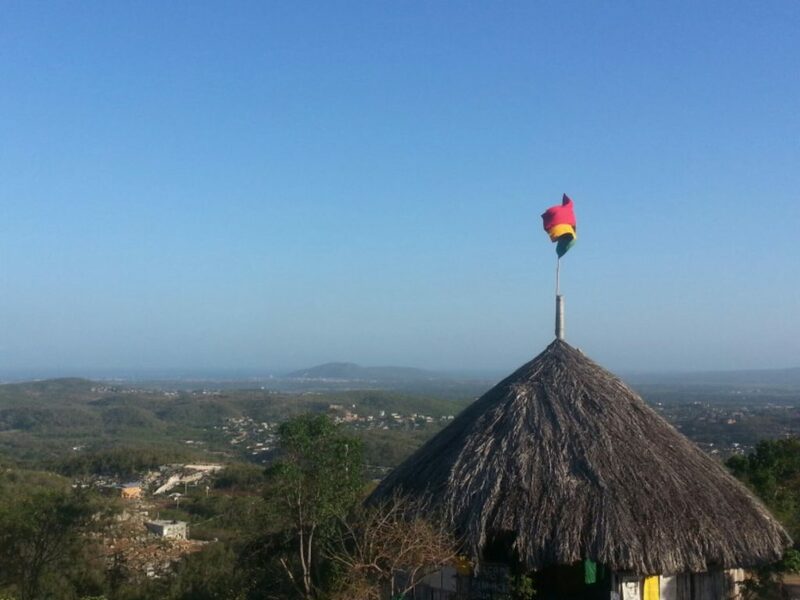 Pinnacle is located in Sligoville, St Catherine. It consisted of over 500 Acres of Land. ( Part of which over look Kingston/St Andrew) In the late 1930’s Howell took over ownership/occupancy from Pervious Owner Albert Chang, who he had to paid in CASH, in order to occupied same. Howell was financial resourceful and independent . He didn’t use money for personal fulfillment but instead he led a humble life in Pinnacle committed to his race. During the late 1930’s the famous ‘uprising’ took place in St. Thomas, Jamaica, many ex-slaves, suffered racism, oppressions, inadequate living conditions and hunger. Pinnacle became the safe-haven for thousands of blacks who desired to live and work communally in Unity. Under Howell’s leadership, Pinnacle was transformed in one of the larger self-reliant/economically empowered communities. Several farmers lived and worked in Pinnacle, producing a verity of fruits, vegetables, beans, peas, yams, banana, cassava, corn, coconut and many other products. Ganja a culture adapted from East Indians (River Ganges) was grown mainly for spiritual mediation, worshiping and medicine. Between 1941 and 1957, Pinnacle was raided several times and each time the authorities would take away cash money banked in the community that added up to thousand of dollar under the claim that it was money earned from selling Ganja. Howell detested the exploitation of the Herb “Ganja” that he was reputed for walking the streets of Kingston, St Andrew, St. Catherine and others parishes giving money to the poor and children. He didn’t give-in to the harassment, beatings, numerous arrests and incarcerations. He went back to live in Pinnacle upon his release from prison. 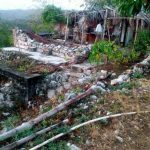 During the last Raid on pinnacle the police burned to the ground homes belonging to thousand of Rastafarians, included furnishing, personal items and clothes . Having no place to live and their leader in Jail, most Rastafarian relocated throughout Kingston, St. Catherine, Clarendon, and St Thomas. 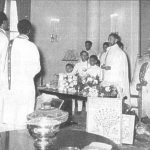 That was the beginning of Rastafari dispersion and relocation in groups of churches and mansions. In the 1970’s a small flock of Rastafarian elders took refuge in Tredegar Park, St. Catherine and continued to support the teachings of Howell until his death in 1981. 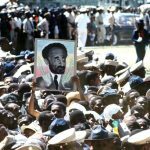 Until today, the Rastafarian of Pinnacle were never, compensated for the lost of property, homes, lives and humiliation suffered. It is said that Howell had been arrested, incarcerated and was sent to Jamaica Mental Institution over (50) fifty times. During the 1980’s Jamaica government sold off most of this land at Pinnacle to foreign and private investors. However Pride is preserving local historic institutions as a part of our cultural heritage is in keeping with having a sense of identity. How can we not look forward for preservation of Pinnacle as a symbol and part of our cultural heritage and the heritage of poor Blacks who struggled for self-reliance and economic sufficiency? Should not this place be preserved as a monument of pride of Black men and women of Jamaica and Rastafarians who have made a significant contribution to our history. Pinnacle is now sub-divided and being sold off by St Jago Hills Development Ltd., located on Hope Road, in Kingston, Jamaica. I, Catherine Howell, the daughter of Leonard Howell, on behalf of the “Leonard Percival Howell Foundation” is asking the Government of Jamaica to intervene as an arbitrator in this matter and to offer other Crown lands as an alternative to these developers, in order to preserve Pinnacle as a cultural heritage and for the healing of the injustices perpetuated against Black People at Pinnacle in their struggle of self sufficiency. This plan would guarantee a win-win situation for all Parties and even open the possibility that the developers could participate for mutual benefit. We are seeking local government, private and public assistance in transforming The Pinnacle Property (or a portion thereof) into a UNESCO recognized World Heritage Site and a International Rastafarian Research Center and in tribute to and as a Monument to Leonard Percival Howell.